Heartwood Nursery Inc is one of the original native plant nurseries in the mid-Atlantic area. A working tree farm specializing in Hollies and other Natives, demonstrations and exhibits include Display Gardens, tour of the Serviceberry Grove, Serviceberry tasting, propagation area and educational stations on using Native species for the benefit of the environment. 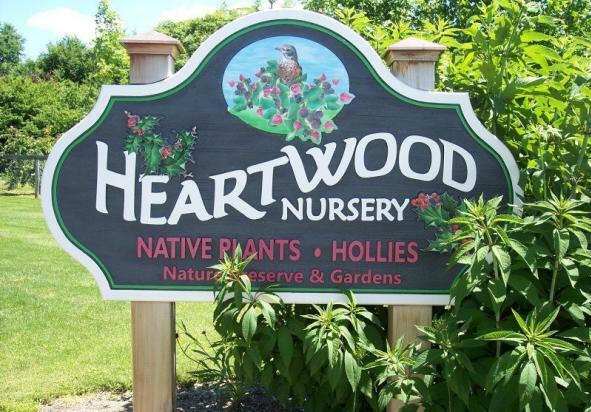 Friday: 10 a.m.-4 p.m.; Program at 1 p.m.
Saturday: 10 a.m.-4 p.m.; Program at 11 a.m. & 2 p.m.
Conditions/Restrictions: Heartwood Nursery, Inc. is a working tree farm with natural, uneven terrain. Please stay in designated walkways and areas for your own safety. Parents are responsible for your own children at all times. No pets. Motorcoaches: Yes; must call first to make reservations.